Modern and fresh, our Gazette save the date and wedding invitation suite is perfect for globe trotting couples who want to carry a sense of adventure into their wedding invitations. We love this design for destination weddings! 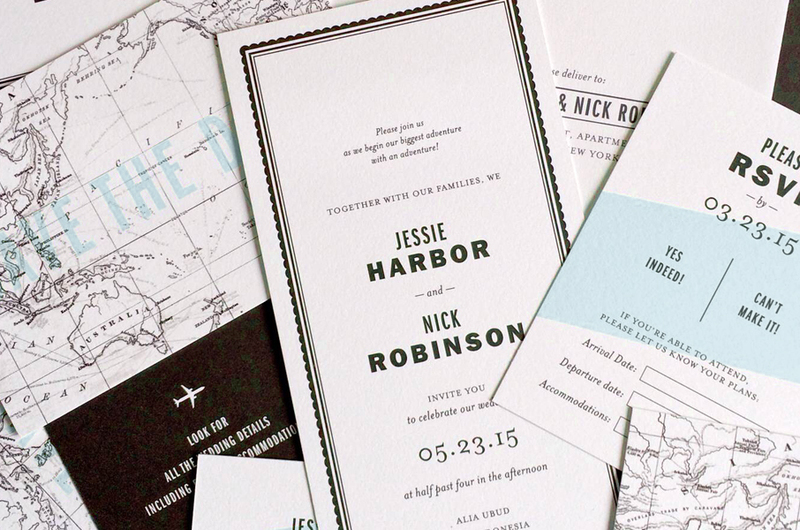 A postcard save the date features vintage maps, customized to the location of your wedding. Bold fonts, simple frames, and a subtle compass pattern add to its charm. Make it Yours: We can find vintage maps for most wedding locations! This suite can have a completely different vibe with an easy change of fonts and/or colors. It looks beautiful in foil, too.